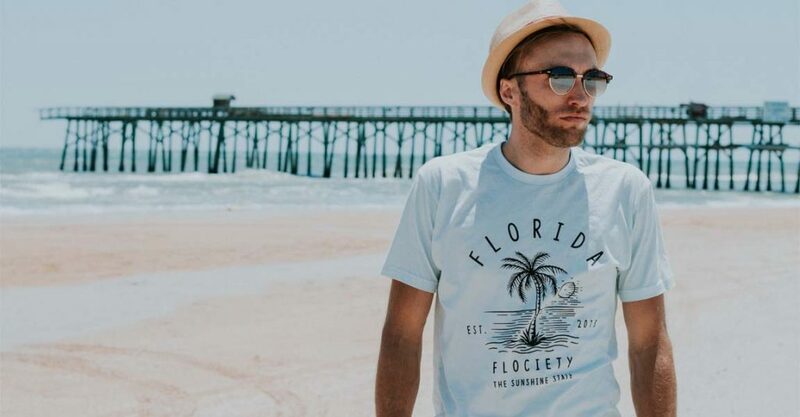 Flociety, a Florida lifestyle brand, was founded in 2013 by Florida native, Brandon Surber. Brandon, who was born and raised out of Ocala, FL, started is first business in middle school believe it or not. Growing up and loving the combination of pretty much anything, whether it was sports, surfing at the finest beaches, fishing, or just kicking it out on the dock, he thought it was time to generate some type of movement. Which soon came later, Flociety. Flociety is expressing our passion for living the Florida lifestyle each and every single day. You can follow us on Instagram @Flociety or LIKE us on Facebook @FlocietyCo.